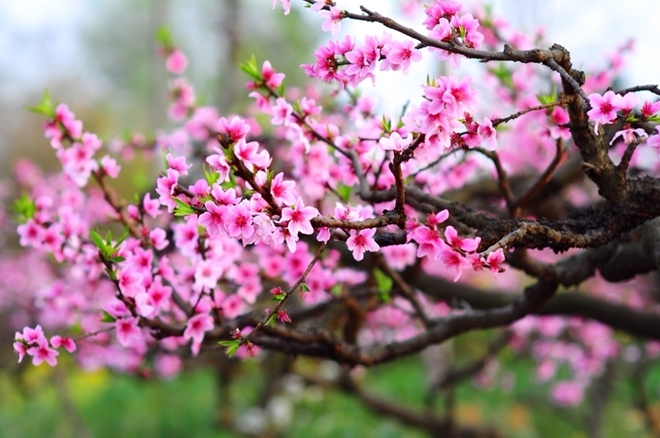 PSNews - On the occasion of the Vietnamese traditional New Year (Tet) 2019 – the Year of the Pig, Editor-in-Chief of the Public Security Newspaper, Major General Pham Van Mien, on behalf of the staff of the newspaper, extends Tet greetings to all collaborators, friends and readers of the newspaper. 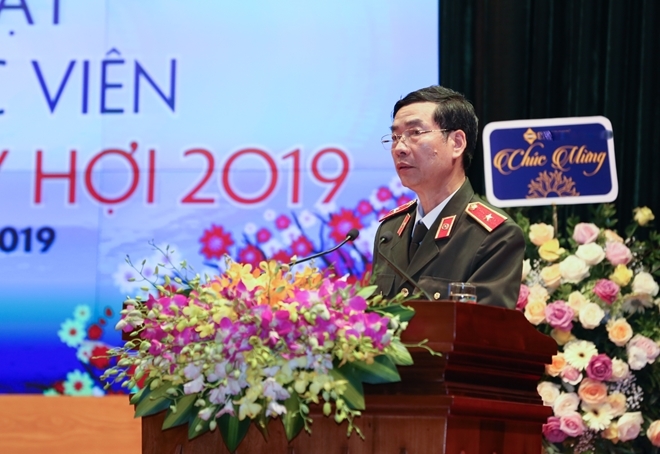 On the occasion of the Vietnamese traditional New Year (Tet) 2019 – the Year of the Pig, Editor-in-Chief of the Public Security Newspaper, Major General Pham Van Mien, on behalf of the staff of the newspaper, extends Tet greetings to all collaborators, friends and readers of the newspaper. Editor-in-Chief of the Public Security Newspaper, Major General Pham Van Mien. Dear colleagues, friends and readers, 2018 has been considered a busy but successful year of the Public Security Forces in general and the Public Security Newspaper in particular. During the year, in the implementation of the project on force restructuring initiated by the Ministry of Public Security, from August 6th 2018, the newspaper has become an important part of the Department for Information and Communications of the Public Security Forces. Although this has led to many changes in personnel, organizational structure, the leaders, reporters and workers of the Public Security Newspaper still stood united and excellently fulfilled all tasks assigned by the Central Party Committee of Public Security, leaders of the Ministry of Public Security. We, the staff of the newspaper, continuously closely followed and faithfully reflected all developments of domestic and international situations, as well as covered major events at home and overseas, in the newspaper’s editions. Happy New Year 2019 - Year of the Pig. All editions of the newspaper actively and swiftly popularized the Party's guidelines, the State's policies and laws, directions of the Ministry of Public Security on ensuring security and order, and promoted the building of emulation movements, contributing to raising the position of the Public Security Forces, and connecting the Public Security Forces and other branches, agencies, organizations and all people. What is more, the newspaper frequently covered every aspect of the domestic situation around the year, including information about national- and sector- level events, issues related to national security, social order and safety, socio-economic development, culture and sports, life and work of all people, sectors and branches across the country. Regarding international issues and foreign affairs, reporters of the newspaper successfully followed and reported on major developments of the regional and international situations and updated readers on information about latest happenings in the region and world on time and in an objective manner. Particularly, the newspaper, as the voice of the People’s Public Security Forces and people, always provided readers on foreign activities of leaders of the Party, State, National Assembly, Government and Public Security Forces, including visits of Vietnamese leaders to other countries as well as visits of leaders of other countries to Vietnam. Besides, 2018 was a very eventful but challenging year for the press and media, especially for the print newspaper sector as the paper prices continued to increase dramatically. Thus, in addition to the printed publications, the online editions in Vietnamese and foreign languages of the Public Security Newspaper have been enhanced, which contributed to better promoting the newspaper position in the Vietnamese revolutionary press, and received great support and applaud from domestic and international readers. Today, the Public Security Newspaper has a number of editions in Vietnamese and two online editions (English and Chinese). This has demonstrated an enormous development of the newspaper, and its great effort to satisfy an increasing demand of a rising number of domestic and international readers for information. On the occasion of the Lunar New Year, on behalf of the staff of the newspaper, I highly appreciate the supports and constructive opinions and ideas, which have contributed to bettering our Online Chinese and English Editions as well as to better serving domestic and international readers. We are really grateful to you all for that. In 2018, the newspaper also organized other activities, including online talks on the hot topic of public concern "Black credit and preventive approaches", the art program "Echo of the victory" to celebrate the founding anniversary of the Public Security Forces, the art program "Keeping the sacred oath" to mark the its first issue. Regarding our traditional social activities, over the past year, the newspaper has mobilized some VND 20 billion to support people facing extreme difficulties nationwide. We have achieved these achievements, highly appreciated by all people, thanks the sound leadership of the Ministry of Public Security, the Central Commission for Information and Education, the Ministry of Information and Communications, and supports from relevant agencies and especially the collaboration of intellectuals, translators, artists and writers in Vietnam and abroad, as well as support from kind donors for its social activities. On the occasion of the Vietnamese lunar New Year – the Year of the Pig, we, all staff members of the Public Security Newspaper, would like to extend best wishes to our colleagues, friends and readers, and hope that you will continue to support and be interested in the Public Security Newspaper in general and our Online English Edition in particular. Thank you very much!